One of the best-kept secrets of our industry is that you don’t need to be a creative genius to come up with an effective advertising campaign. Most good ideas are creative mashups of other people’s ideas -- in copy, targeting, graphics, and pretty much everything else in advertising. Marketers, just like artists, steal get inspiration from other marketers. Spying on the work of others in the same industry helps you (A) get some ideas for what you can do and (B) understand what’s best NOT to do. And that can save you tons of time and money in testing. In paid marketing, technology makes it especially easy. There are free PPC tools crawl the entire web 24/7 and store data about different websites and mobile apps -- how they rank, which keywords they bid on, how much it all costs, and whether it at all works. Armed with this knowledge, you can boost your ads’ performance, get optimization ideas, and stay up-to-date on the latest changes on the market. Below are 10 tools that can help. Check it out for yourself: They offer a free trial, no credit card required. Basic plan starts at $29 per month and goes up to $299 per month for agencies and businesses with $10,000+ in PPC budgets. The basic (“Bronze”) subscription is $27 a month and goes up to $99 for the “Gold,” which gives you more search data and broader geographic reach. You can sign up for a free trial without a credit card. Be aware that the tool doesn’t allow any csv exports while trialing. 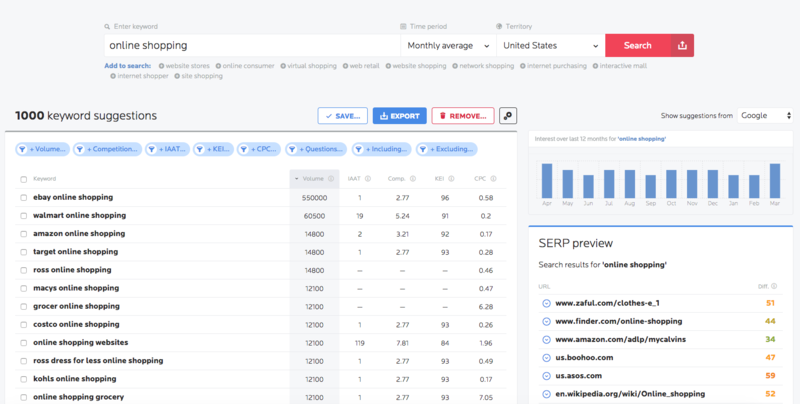 Brands and agencies can use the tool to detect brand violations, track affiliates, or verify price parity for the same products or services across different sellers. This is especially useful for hotel advertisers who can track changing room rates and offers. With geo-monitoring across major search engines, Search Monitor works for brands with international presence. 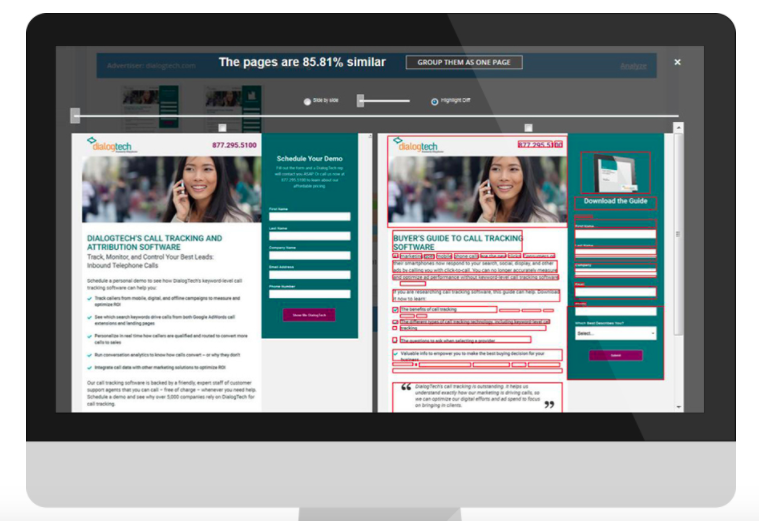 SearchMonitor doesn’t offer free trial, and you need to contact sales to request a demo. Pricing plans starts at $599 a month. This PPC tool helps analyze data on your competitors’ website audience, demographics, and marketing mix. 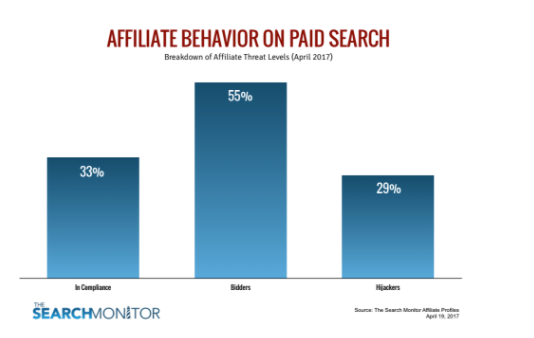 You can track your competitor’s top traffic sources (for example, how much of it is coming from organic vs. paid search) and referral sites. SimilarWeb works for web as well as mobile app analytics. The tool allows you to create custom categories and benchmark competitors in a more holistic way than other apps that only offer views by each separate URL. It’s a free trial, no credit card required. Every search marketer that I know has it. 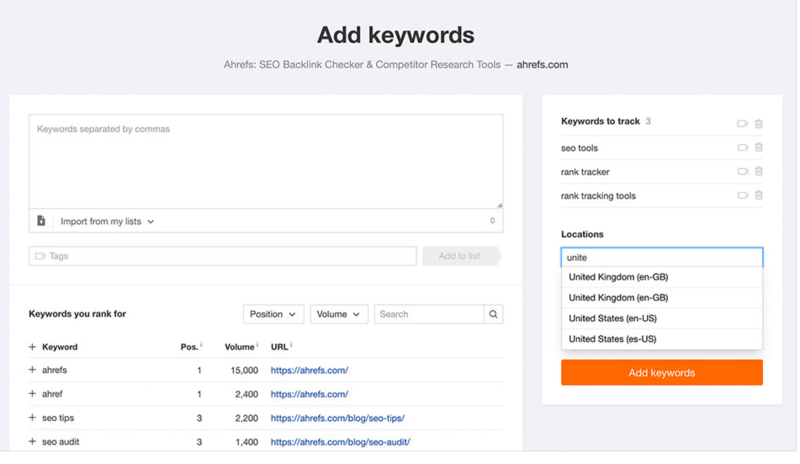 Semrush allows you to review your competitor’s top-performing keywords, sort them by search volume, and see who’s linking to your competitors’ content. With site audit, custom reports, content analyzer, and more, the tool has so many features, it can be a bit of a learning curve to figure out all the features it has to offer. Pricing plans start at $99.95 monthly for pro and $399.95 and up for enterprise clients. “Using Campaign Watch is like having your top competitors report their marketing strategy to you first thing every morning,” or so says Campaign Watch’s marketing copy. 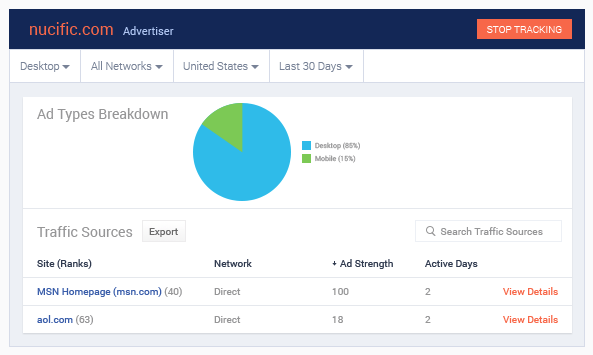 The tool allows you to track competitors’ visibility in search, average position, new ads, and landing pages. You can monitor everything from their seasonal spend, clicks, position, and number of keywords to market share -- on desktop and mobile. Pricing is custom (and hidden under the demo request form). Ahrefs analyzes your competition’s search performance and landing page experience. You can use the tool to see how your competition ranks for certain keywords, which web pages are bringing them the most traffic, and how many backlinks each of these pages has. Ahref’s rank tracking tool allows you to track your keyword rankings based on any location you need, across desktop and mobile. Ahrefs offers a 7-day trial for $7. Pricing plans start at $99 for a “Lite” version and go up to $999 for large agency clients. This tool allows you to see the top performing creatives in your market and niche, track top ads, and easily segment large brands and affiliate campaigns. It also shows your competitors’ top ads, traffic sources, landing pages, ad networks, and more. Pricing plans start at $299/Month for basic features and custom for enterprise. 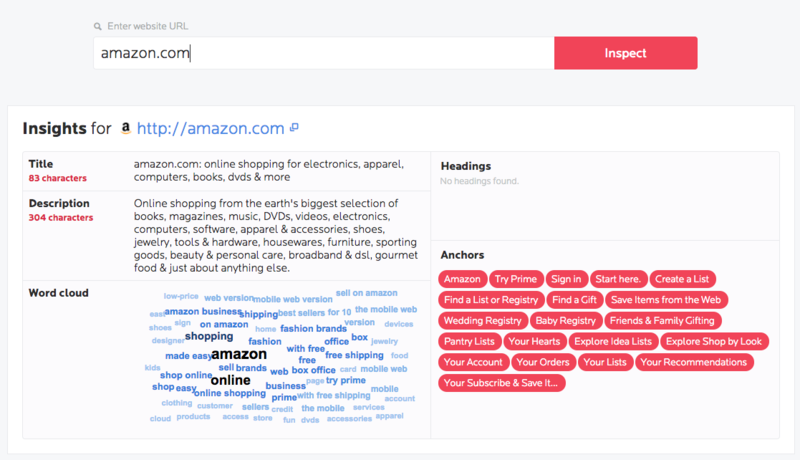 Buzzsumo’s competitive intelligence tool allows your to enter a competitor’s domain and search for their most shared content. You can filter their content by format and see which networks are driving the most traffic and shares. You can also see who’s sharing that content -- and even export the list of sharers. I particularly enjoy their alerts feature: You can set up alerts for your competitors’ and your own brand and receive daily updates right in your inbox. Are you a PPC marketer? Discover how you can save hours of time on manual, tedious tasks with PPC automation and closed-loop reporting.